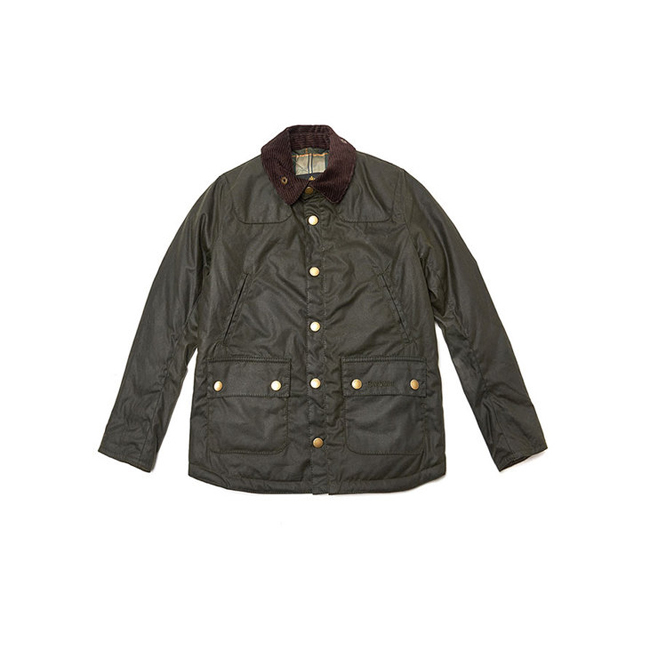 The famous Barbour Bedale jacket gets resized to create a special version for boys, featuring the same waxed cotton outer, chunky Barbour zip and corduroy collar as its big brother. 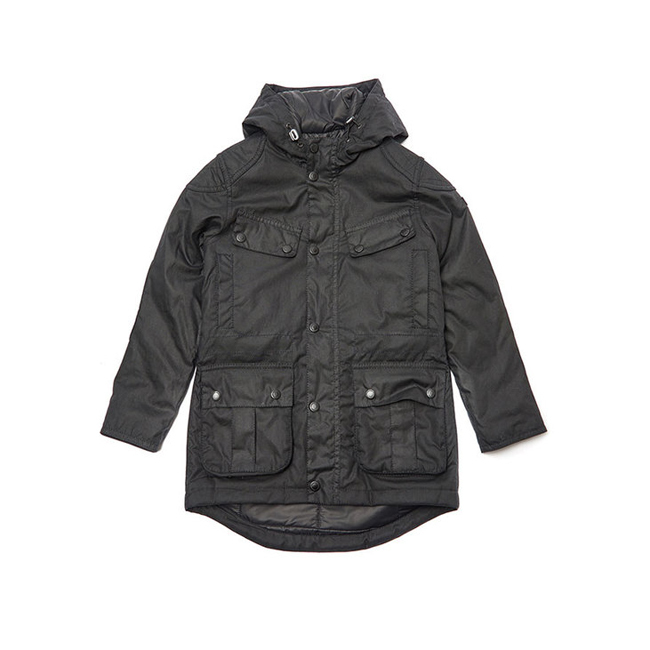 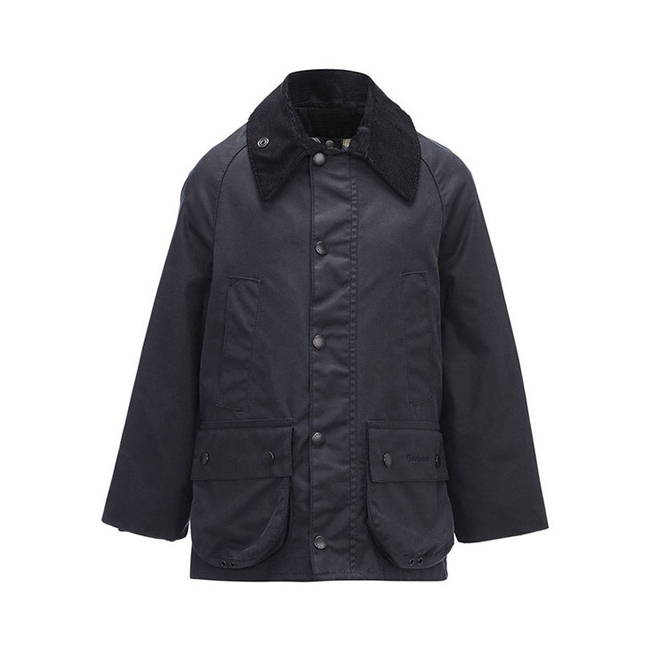 Perfect for boys who like to be outside, the Classic Bedale is a robust, weather-ready jacket that is fully interactive with an optional hood and warm liner for extra winterproofing. 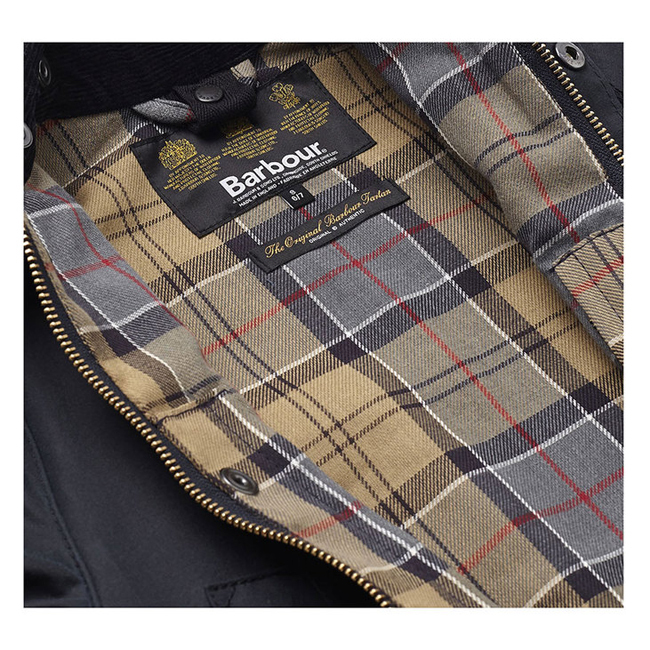 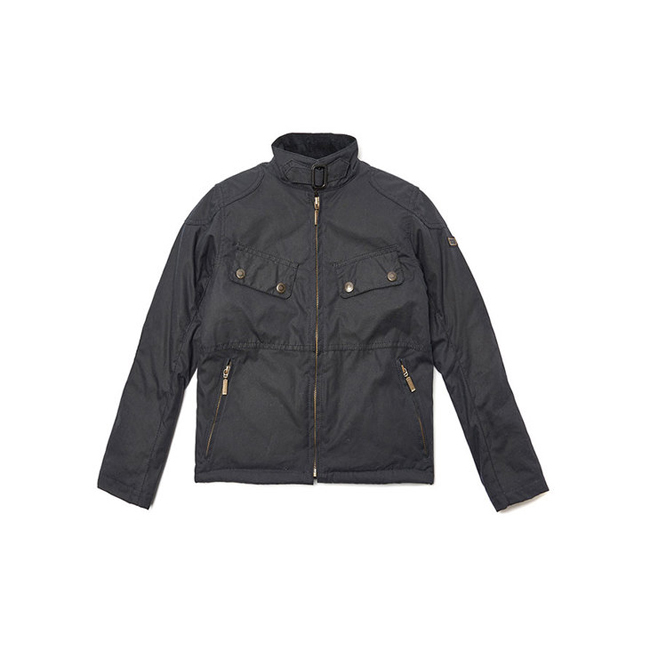 Multiple pockets, a traditional 'stormfly' front and a Barbour Dress tartan cotton lining give this jacket its signature look, making it a timeless and versatile piece. 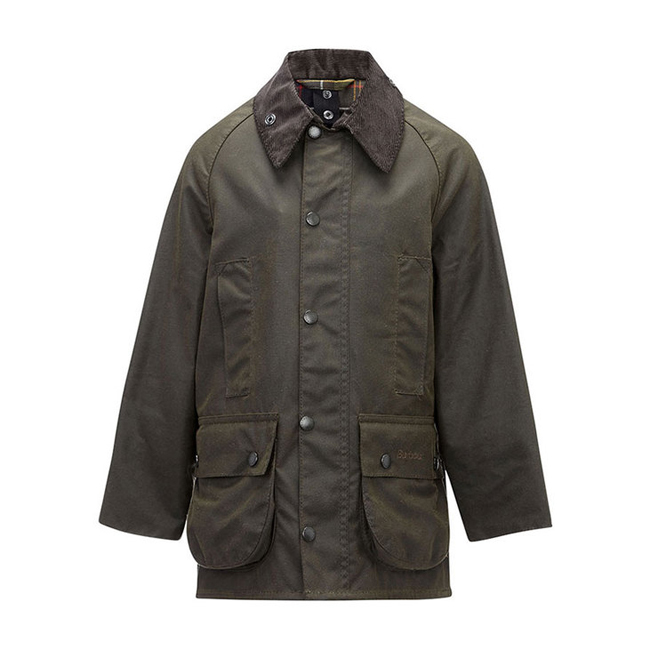 This is a coat I got my husband it is very warm and he loves it. 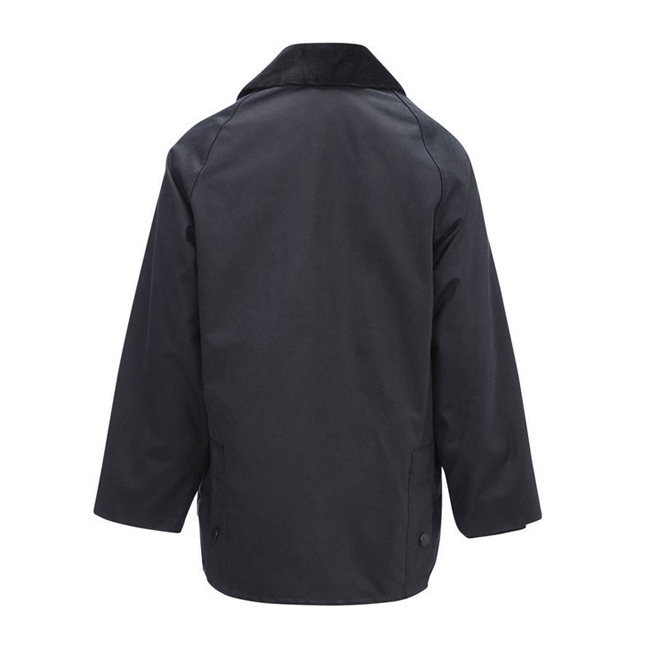 He has very broad shoulders and it fits him perfectly.